Our unique and nourishing Supergreens blend is bursting with powerful Superfoods, including wheatgrass, spirulina, barleygrass, kale and chlorella. It's also fortified with vitamins B12, C and E, all packed into a convenient powder so it's easy for you to use in everyday foods or even just mix with water. Supergreens' great flavour comes from apple powder and subtle spices, so now it's even easier to eat your greens! Get inspired to use Supergreens in everything from pancakes to salad dressings with our host of recipe ideas. For an energy boost at the start of the day, blend 1-2 teaspoons into your breakfast smoothie. If your blender’s not handy, simply swirl through your porridge or yoghurt. Moringa, Turmeric, Green Tea Extract), Vitamin C, Ferrous Citrate, Vitamin E (Anti-Caking Agent: Silicon Dioxide), Zinc Citrate Dihydrate, Vitamin B12. Store in a cool dry place away from direct sunlight. Do not use if tamper evident seal is broken. 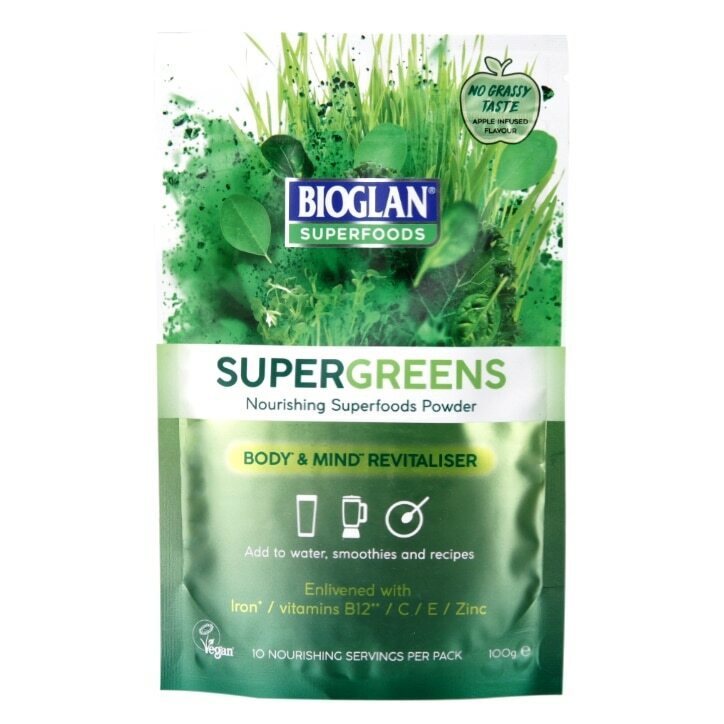 Bioglan Supergreens is rated 4.3 out of 5 by 100. 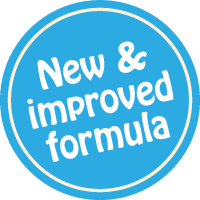 Rated 1 out of 5 by Ethans day from Disgusting new flavour We used to love this product, I had it in my smoothies and our toddler would eat it mixed into plain yoghurt. Unfortunately this new flavour is disgusting! It tastes like curried apple, the old flavour was pineapple and much nicer. Don’t buy this! Rated 1 out of 5 by i001 from Recipe change, less ingredients and same price! They have completely changed the recipe, originally they had 81 ingredients, now the have cucumber, some spinach, broccoli and a had full of grapes...a packet nearing £25 this is a total ripoff, the daily amount doesn't even amount to your daily intake of vitamins. Keep away and save you're with the price of ingredients used you would be better off eating whole foods. Rated 1 out of 5 by Elizabeth7 from Sugar one of top ingredients This is supposed to be a health product and sugar is one of the top ingredients - what kind of sugar?? Coconut palm sugar? Doubt it. How much sugar? Apparently that's not important. It's a shame when these 'health' products are so misleading. Rated 2 out of 5 by Gem gems from Once again changed the recipe This used to contain 81 ingredients! Once again they have dramatically changed the flavour and it is beyond recognition. No longer does it have 81 ingredients in it either! Will not be buying it in future. When I emailed them last time, as they had changed the recipe but not the ingredients on the package, they were less than helpful sadly! Annoying as I have spent thousands over the years with this brand, my husband and I consume it daily, but there is plenty of competition... will have to taste other products as this is tasteless now.